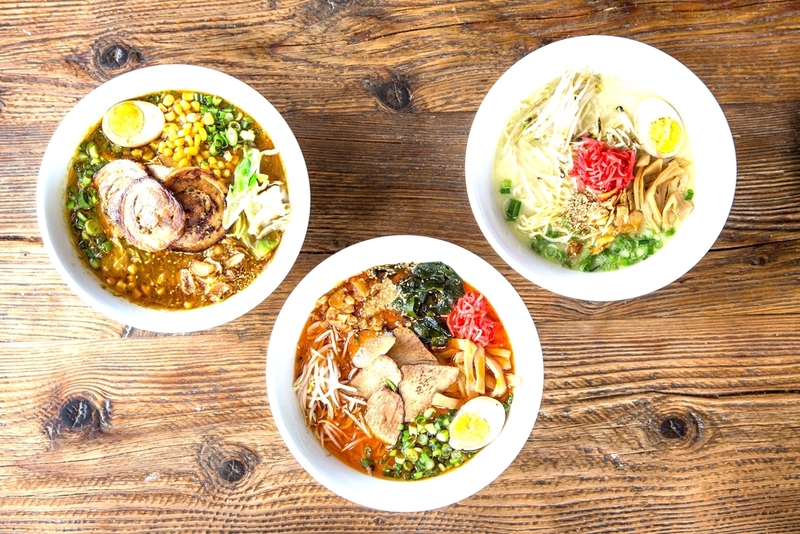 RakiRaki serves a wide variety of ramen dishes and authentic Japanese cuisine including tsukemen (dipping noodles), charcoal-fired yakitori, curry, ramen burgers, and specialty sushi rolls along with local craft beer and sake selections. Mixed architectural details such as reclaimed wood, contemporary zinc-countertops, and oversized Japanese lanterns set the tone for a dining experience rooted in tradition, but with a modern vibe. Guests can sip sake or a cold beer while watching all the excitement as chefs prepare each bowl of ramen “aburi” style, carefully adding fresh toppings flame-blistered to perfection.